Superdata Review 2019: Is Superdata a Good Hosting? Superdata offers dependable rack cabinet rentals that will allow you to host up to 20 servers per rack. This is a great way to set up your own personal data center group of dedicated servers. 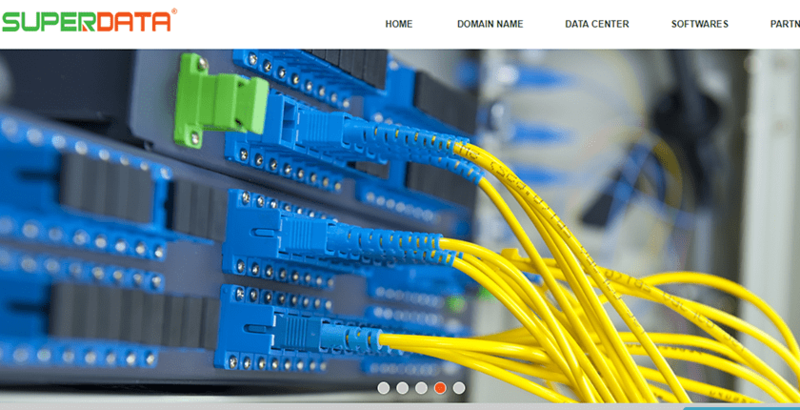 Superdata is a Vietnam-based company that has been offering data center and internet related services since 2009. While they don’t provide any form of shared hosting services, they do allow you the ability to rent server rack space and use them as your own personal datacenter. 20GB of bandwidth per month. If you’re looking to rent a server rack, then you have expert knowledge on how to configure and build servers remotely. If you’re not an expert in these areas, you will need to look elsewhere as they only provide the hardware and monitoring tools. SuperData offers rack servers available for rent at a flat monthly rate. Racks come with the features listed above with the ability to host up to 20 servers on each rack. This gives you impressive capacity for your website, network of sites, or even reselling website hosting. Note that discounts on your rentals may be available if you buy servers from one of their partners. Also, there is a setup fee on any racks you rent from the company. If you haven’t figured it out, they don’t provide server rentals, but just the rack space, meaning you will either have to buy the servers from them or ship the servers, so make sure to factor that into your costs. If you need support, SuperData has 24/7 telephone support as well as email support available. Phone support is not toll-free. Superdata offers affordable rack rental services that allow you to install as few or as many servers you need to run your website or web business. With their partner services, you can go from zero to a rack of servers in no time. Wondering how Superdata stacks up against other Web Hosting companies? Enter any other Web Hosting company and we will give you a side-by-side comparison.